This paper addresses the problem of feature subset selection for classification tasks. 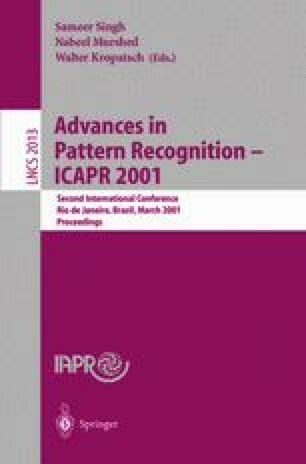 In particular, it focuses on the initial stages of complex realworld classification tasks when feature interaction is expected but illunderstood, and noise contaminating actual feature vectors must be expected to further complicate the classification problem. A neural-network based featureranking technique, the ‘clamping’ technique, is proposed as a robust and effective basis for feature selection that is more efficient than the established comparable techniques of sequential floating searches. The efficiency gain is that of an Order(n) algorithm over the Order(n 2) floating search techniques. These claims are supported by an empirical study of a complex classification task.